. . . . . the deepest longing of our soul is to experience our life fully and without reservation . . . and this longing is not served by the modern world .. . . . the darkness practice is the quintessential form of meditation . . . . the most naked form of meditation . . . . . There is nothing to do . . . . if you decide you want to go for a walk, it is not available . . . . the only practice in the darkroom is to sit and open, sit and open and let go . . . . Even if we never meditated, it’s very worthwhile to . . . You know, a bathroom is my favorite thing, because you have a toilet, you have running water, and often you have a blower you can turn on if you want to get the circulation going. You can go into your bathroom, you can go into your closet. That’s fine. Hang some dark blankets over the door, when you’re on the inside, you might want to run some black duct tape around the seams, and there you are. Try it for an hour, two hours, or three hours, and just be in there and see what you find. Practice a little bit of meditation. It’s good to go in with a technique like I said. You know, be in the body, follow your breath, be with the darkness, and if you start spinning out, bring yourself back, and see what happens. What happens is going to be appropriate to your own journey, and that’s one of the extraordinary things about this practice. Often, we’re given a technique and twenty-five different people do the same technique, but it may or may not be appropriate to where you’re at and what you may need. The thing about the darkness practice, because it’s so naked and stripped down, whatever needs to happen in your state of being is going to happen. So give yourself an hour or two and see what happens. People that I work with, at beginning level, middle level, advanced level, everybody has got a lot out of it, so I’m very encouraging of you to give it a shot. Would I go into darkness for a week without much training? No, because I think you’d be wasting your time to do it, I think you’d probably just wind up spinning out the whole time, but you could work up to it. You know, for a year, you could try it for a day in your bathroom. In year number two, maybe you could go into a cabin for a couple of days. Renate: Hello and welcome to conscious.tv My name is Renate McNay and my guest today is Reggie Ray. Hello Reggie. Welcome. Reggie is a meditation teacher within the Tibetan Buddhism and he’s the lineage holder of Chögyam Trungpa Rinpoche and he’s also the founder and director of Dharma Ocean Foundation. Reggie wrote several books. I’m going to show you, one [holding up book] I have only one here, Touching Enlightenment.Then other books are, let me see, Secrets of the Vajra World and In the Presence of Masters and Buddhist Saints in India. Another one, Indestructible Truth. Wow, many books. And there are several wonderful CDs out, I have only two with me: Mahamudra, and Meditating With The Body. There’s another one I have, which I absolutely love, which is The Breathing Body. I discovered Reggie about a year ago and got his CDs and started to do his meditations and they were incredibly helpful for me and I actually thought this work is a missing link in so many of the teachings I know about. And I was hoping that one day Reggie’s coming to London and do conscious.tv and I check every time his newsletter and all of a sudden, two weeks ago I saw Reggie’s coming to London and I ran into my husband’s office and said, “Reggie’s coming!” And I was so excited. Well, here he is in London with us now and we’re very happy to have you. Reggie: Thank you. It’s a pleasure to be here. Renate: Yeah, when I received this book, Reggie, Touching Enlightenment, underneath it says, Finding Realization in the Body, I was intrigued and I wanted to talk with you about that. What does it mean, finding realization in the body? Reggie: Well, in the western world we tend to approach spirituality mainly as a mental project and the problem with that approach is it’s not experiential. One of the things that has been true for me throughout my whole life, it’s been very interested in spirituality but when it comes down to a direct and full and transformative experience, that has always escaped me. When I started practicing Tibetan Buddhism a long time ago, probably about forty years ago, I gradually began to explore the somatic practices of the esoteric tradition and I realized, as you said, this is the missing piece, not only for Buddhism, really, but for spirituality in general. When we focus on the body, then all of a sudden our practices become fully and completely a matter of human experience. And as we know from trauma theory and from depth psychology, it’s only human, actual human experience that changes people. Ideas don’t change people. And mental practices don’t change people. So it was really quite a revelation for me and it’s a very happy work that I’m engaged in. Renate: Yeah, you mentioned that there was this realization one day that in meditation is no path, you did not change. Renate: Yeah, and how long into your meditation practice did you find that out? After how many years? Reggie: Well this kind of crept up on me. I’ve been meditating since high school. And that’s, you know, sixty years ago I started meditating. And it was mainly mental and it was using what we might call left brain techniques, applied with a particular kind of intention and idea of what I was going to get. It was really a left brain activity, the conscious mind. Renate: Did you get something? Reggie: Of course. Yeah, you do. I mean, those practices are not without value. They do help you calm down. They do help you retain a state of mind that is a little bit more peaceful and open. But when it’s not grounded in the body and in its relationship to the unconscious mind, then you don’t change. And that crept up on me. I had some mentors in my twenties that were almost forced, a kind of somatic consciousness on me, some people that helped me a great deal but I didn’t connect it with meditation until later. When I was in my thirties and I was really practicing Tibetan Buddhism, I began to realize, ‘Wait a minute, when I do the somatic practices then my meditation is much more embodied and I’m meditating with my body rather than my mind.’ And that, that was when I realized what was going on. Renate: …is that path of this lineage? Reggie: The path of this lineage is Vajrayana Buddhism that originated in India around the 4th or 5th century and was kept alive in Tibet, but Vajrayana Buddhism in Tibet is not very well known in its practical form in the west. A lot of teachers teach it, but they don’t teach it as a somatic discipline and it really is. The Vajrayana is all about the body. And I was very fortunate to meet a teacher named Chögyam Trungpa Rinpoche who actually lived in London in the late sixties and he taught a Vajrayana that was embodied and it came from the esoteric traditions of east Tibet. So that’s my lineage. Renate: When I found out that Chögyam was your teacher, I read up about him and he was very controversial. Reggie: He was very controversial. And you know, truthfully, he was kind of a nightmare to be around sometimes. Renate: I was wondering about that because he did some really interesting… let’s say interesting things. How was that for you? Reggie: Well, I met him in 1970, and I was in my late twenties. He was a man who had, there was no filter in terms of his insight and in terms of how he was with people. And I personally was terrified to be around him because it was like sitting next to the noonday sun and at any moment, with a little gesture or a word, he could completely expose your ego trips and your posturing and your trying to position yourself, you know, in the situation. He was very, very frightening to be around. And it took me – I worked with him for seventeen years – and it took years before I could be in his presence without going into a panic attack. [laughter] But the interesting thing about him, was he was very controversial. He drank a very great deal. But strangely enough it never seemed to really affect his awareness, so that was strange. He had sexual relationships with some of his closer female students, but they seemed to think this was like… they used to tell me, “You know, Reggie, too bad you’re not female because you will never have that intimacy with him. And you’ll never be able to share his state of mind.” I beg to differ by the way, you know, that we can with him. He’s just very odd. But that was the least of it. He was so unconventional and for him, speaking the truth, and pointing out the truth, and cutting through your deceptions, your self-deception, that was all he was about. And it just made him very difficult to be around, frankly. Renate: So my question, what comes up in me, is how much was he embodied? To be able to do all the things he was doing, how much was he embodied? Reggie: I don’t think disembodiment was an option for him. Reggie: Somebody once asked him, using different language, “Do you experience moments of embodiment?” We’re using our language now. And he said basically, “I experience once in a while moments when I’m not disembodied.” And he was like that. He was kind of like a mountain, frankly – sitting around him. Now, some people didn’t feel that way. I don’t know how they got through the day. But some of his close students, you know, “What’s the big deal?” I mean he’s not very frightening, but I personally found him very challenging to be around. I mean, I learned so much from him, that was why I was there, because of what I could learn. Renate: Yeah. It seems that people who are completely free – and he sounds like that, you know, true nature was just manifesting through him in whatever way and he had the freedom to go with it – they are frightening to be around. Reggie: They are frightening and isn’t it inspiring? Reggie: I’m working on it. Renate: So through the somatic meditations, did it come easy? I mean you have a very powerful mind, how was it to start working with your body? How was it, living in this body? Reggie: It really is, isn’t it? Renate: Being here and experiencing my body, it is hard work. Reggie: It is hard, until something switches. When you do the somatic practices – and you were there for our weekend so you experienced some of it – but when you go into your body there comes a moment when your left brain just goes offline and then you’re there within the vast empty open terrain that the body opens up for us. And then it’s very joyful and often it’s quite interesting that I will do these practices as I did this past weekend with beginners and some people, they completely get it immediately. Reggie: Oh I’m sorry to hear that. Renate: And there was nothing I… I just could not escape the pain. Renate: And then there was just beauty and I was never separated from him. Reggie: That’s so beautifully said. That’s it. You just described it. You go in so far and then there’s a switch. And all of a sudden the whole universe is open to you. Reggie: It’s amazing isn’t it? Renate: Yeah. And sometimes we learn these things through great suffering. Reggie: That’s a very important point. I think you can do a lot of meditation and somatic practices and body work, but when you begin to realize your own suffering and the suffering of the world, that’s really when you start to catch on. Renate: Yeah. Let’s talk a little bit about what embodiment is and your experience with embodiment and for our listeners, who are not familiar with your type of work, meditation with the body. How do we do it? Reggie: Well, let’s first talk about how we do it in the world because one of big questions is, ‘Ok, I have my meditation but how do I bring my meditation into my life?’ That’s the big question for everybody. So I want to start with in relationships, let’s talk about that. Let’s say we are having a conflict with our spouse and both of us get very heated and all of a sudden I’m in my eight year old traumatized state of mind and I look at her and I see my mother who never loved me and doesn’t care about me and is always too busy for me. And she’s in her mind, her mother was always trying to put her down and never saw her and never acknowledged who she was. Normally what happens is we play out this scene until we’re both exhausted, in normal circumstances. But what happens when we use the somatic approach, gained through meditation we go, ‘Ok, I’m activated, I’m triggered, I’m dwelling in what psychologists, neuropsychologists call implicit memory, I’m gone, I’m not here, I’m not really seeing this person.’ So there’s some general awareness that that’s going on. Not much. You go into your body and what the practice does is, it teaches you how to know what your body knows. And so you go into your body and you let your body look at this other person and what you see is, you see the very small slice of reality that you’ve been operating in during this fight. And then you see the whole picture of who this person is. That’s what the body knows. We know this from neuropsychology, that the body itself receives all the information that’s available in the environment. The body doesn’t have any boundaries at all in terms of its own awareness. And so you begin to – it changes your whole point of view and you no longer can be so invested in your small version of reality. Well, that’s exactly the same in spiritual practice where all of us have an idea of what spirituality is, what enlightenment is, what freedom is and what peace is. These are all ideas. They’re memories. And we got them from reading, we got them from talking to people, we got them from our own experience and so we use techniques to try to get there. That’s a very, very limited approach, just like during the fight, it’s very limited. When you come into your body and you breathe into your lower belly, or you develop awareness of your heart, or you begin to relate with the tension in your body directly and let go of it, all of a sudden the body takes over the journey and you’re not orchestrating from your limited ego standpoint anymore. Reggie: And the experience that happens – if I can use an analogy – I don’t want to get too far out here but I used this on the weekend. In astrophysics we have black holes and they look like they’re small. They’re circumscribed in space, but some people theorize that when you go into a black hole, there’s a whole other universe that’s limitless. Well, the body’s exactly that way. When we begin to develop internal awareness, we see it’s not contained in the envelope of our skin, it’s actually a gateway to infinity and that’s very hard for people who haven’t done this work, to get, but it’s also documented, you know, throughout the tantric tradition for sure, throughout history and in other traditions as well. Renate: Yeah, I do your earth breathing meditation. Reggie: Yes. How do you find that? Renate: At first I was amazed because you normally go up and up and up in meditation and then here I’m lying on the floor and you take me down, deeper and deeper and deeper. And you are right, it’s a whole universe. Renate: Yeah. And it just feels home. Reggie: When we go up, we lose the reality of ordinary life and some us think that’s the point. When we go down into the earth, we also discover infinity, but it’s an infinity that is filled with all the potentiality of life and it does feel like home. It feels like our true being and sometimes people do this practice – I don’t want to get carried away here, but sometimes when people do it for the first time – they end up weeping because it’s such a relief to realize that they can hold everything that they are and everything that reality is in a state of freedom and openness and joy. It’s shocking actually. Renate: It is, yes. [laughter] So, embodiment [that’s what we were] talking about. What is it actually that embodies? Reggie: You see, we’re already embodied. The natural state – the body is in a natural state of awakening or enlightenment. That’s the natural state of the body. Reggie: And what happens to us is we carve out a little part of that somatic energy and we separate and we create this false sense of separation because it is a false sense. In fact the only thing that happened was we had the impression that we’re disembodied. That’s our experience because we wall off the rest of it. But the fact is we’re already embodied. Awareness is embodied already. Any awareness that appears to be disembodied isn’t true awareness. It’s ego awareness or what John Welwood calls spiritual bypassing, or Trungpa Rinpoche called spiritual materialism. It’s not real awareness if it isn’t filled with the plenitude of life. According to the tantra, that’s what makes the tantra different from some of the other schools, Buddhist schools. Renate: Yes. So then, through body practices we start resolving all the things that take us away from this awareness in the body. Reggie: Well, there’s a process. Some of the basic practices become learning to, first of all, just feel the body, because many people, actually you tell them to feel their feet and they look into it and they can’t feel anything. Well, that’s a problem. I mean, the feet actually are a whole universe onto themselves. So we start by learning to feel, to sense the body, then the next step is we begin to see the amount of tension in the body. And again we know from neurobiology that tension is not only what we observe, it goes all the way down to the level of the cells. And some people speculate that cancer actually comes from tension in the cells they can no longer process because they are so tense. And then step three is beginning to release tension. When you begin to release tension, you realize the reason we’re tense is we’re walling off experience. That’s how we keep unwanted experience in the unconscious, by tensing against it. Well the minute you begin to learn how to release tension, then all of a sudden the boundary between the conscious mind, which is maybe one millionth of who we are and the other ninety nine whatever it is, other parts, begins to become softer. And you begin to receive more information. And then you begin to realize that the body is actually a limitless field of experience. So it is a process of coming into your body and realizing what your body really is. If we talk about embodiment, people think, ‘Oh it means I’m just in the envelope of my skin and I’m kind of feeling my organs and I’m just here.’ But that’s not what it is. That’s only the beginning. True embodiment means that you realize that the body itself – and I’ll say something that may sound extreme to some of your viewers – but the body itself is co-extensive with the universe experientially. And that experience of one’s body as the universe is what happens through tantric meditation. That’s what the whole thing is about. And then you can relax. Renate: Yeah, but how do you let go of tension? Reggie: You let go of tension by going into it. You know how the experience with your grief. Reggie: You couldn’t deal with it by trying to push it away. Reggie: The only way you could, and grief is a kind of emotional tension that wants to release. The only way to release it, is by going right into the heart of the grief. Reggie: And the same thing is true of the physical body. When you begin to find, for example in your, let’s say… left thumb, there’s tension. Renate: I know I have tension in my shoulder. Reggie: Oh that’s a good example. The only way to release the tension in the way we’re talking about, is to begin to work with it in a meditative way by putting your awareness into the tension and then you begin to realize you gain what we call agency. In other words, you begin to realize that you, even though from the outside you think, ‘Well it’s just tense and I can’t do anything about it’, but when you put your awareness into it, then you begin to realize that actually you’re holding on. You see how you’re doing it, but you don’t see it until you’re inside. And then you can let go. Reggie: It’s a most amazing thing. Renate: Yeah. I experience that with pain. Renate: Sometimes, I just play around. What happens if I don’t resist it? Renate: If I go right in, if I say yes to it. It’s only a yes. Reggie: Exactly. That’s exactly right. Renate: And then, it starts dispersing. Renate: Yeah. But you know, it seems to be an endless process. If I think about like every cell in my body has its own story. You think one has enough time in one life, to work through all the delusions and traumas and become fully free and awake? Reggie: I personally do not believe the purpose of life is to reach an endpoint of any kind what so ever, human life or any other kind of life. If you look at the universe, the universe never reaches an endpoint. You can say, “Well, we have the Milky Way, that’s an endpoint and we have the Andromeda Galaxy, that’s an end point.” But it’s not, because these two are merging. And then there’s going to be a new galaxy, a super galaxy. And in the same way, what I see is, life is a process of unfolding and each moment of life gives us an imperative about the next step. And so when your grief came up, the imperative was to work with it, to go into it and to explore and see where it wanted to lead you. And where it led you was into an amazing place. But then of course there’s the next moment and the next project. Life is a constant unfolding; and I think – you know, when Buddhists teach about ego, egolessness – what they are really saying is that there is no fixed point in our lives, nor should there be, that life is a process of constant, constant unfolding. It’s life and death, and life and death, and life and death. Even psychologically we know that we go through cycles and I think a lot times people think the up cycle is really, that’s it and that’s where they want to be. But if you meditate a lot you realize the down cycle is so important because it leads to a new and more integrated up cycle. Reggie: There’s been a lot of research into the teenage brain, as I’m sure you know, you’ve probably interviewed people. We have a fifteen year old teenager boy, and one of the fascinating things is, he dis-regulates, meaning he goes into a down cycle, he fragments, he comes apart, he falls apart, he has emotional upheavals and then he re-regulates and it happens like three, or four times a day and the research is that that’s how they grow. That’s what growth is. It’s the light and the dark. It’s the pain and the pleasure, the happiness and the sorrow going through night and day cycles. And I think that’s what all of life is and I wouldn’t be that surprised – nobody really knows – but I wouldn’t be that surprised if it continues through death and beyond. I wouldn’t be at all surprised. Renate: …by going deeper into my body, I come deeper into the moment and it’s almost like the story disappears. Reggie: It happens. It’s true. Renate: Yeah, it’s like it gets metabolized. Reggie: It’s true. Yeah, the ego is the only thing that gets tired. You know, I find that the more I practice – even though I’m getting older and older, and older – the more youthful and fresh and open I find life. It’s the ego, it’s not our soul. I would dispute that point of view. I think he’s tired. I mean the man works so hard, I think he’s exhausted. Renate: [laughter] There are so many things I want to talk with you about. You already mentioned you did a lot of meditations and altogether I think you did six to seven years of solitary retreat. Reggie: It’s probably more like eleven now. Reggie: Yeah. Some people go and do a three-year retreat, and they did three years. I do, you know, two or three months a year for forty years, and it adds up. That’s another interesting point. Trungpa Rinpoche very much valued ordinary human life. And he was unlike many Tibetan teachers in that sense. I asked him when I met him, you know, in my late twenties, “Rinpoche, I want to be like Milarepa, I want to go on retreat for the rest of my life.” And he goes, “That’s not what we’re doing. That’s not the Vajrayana. What we’re doing is we’re mixing meditation and ordinary life and that’s the way.” The greatest opportunity you have for realization is in that mixture. So that’s what we do. Renate: I was also reading, I think in your book, that Vajrayana hermits, remained in caves sometimes for years, sometimes for the rest of their lives and I was just wondering how that works. If you’re not in life how can you do all this practice just by yourself? Reggie: Well, I have the same question and I’ll be honest with you, about ten years ago it came to my attention that long retreats were good – month retreats, month and a half, that’s great – but when it got too much longer than that, I went funny. Reggie: You know, my mind started going in a weird kind of direction and I started not being able to see my neurosis and distortions. And then so, I said, “Ok, it looks like a month, month and a half at this point in my life – this was, ten years ago – I need the relationship, I need my marriage, I need my children, I need the problems, I need the balance of the checkbook.” And I think it’s true, and I do wonder, I mean some of these hermits, they live in communities actually, they don’t live by themselves. Even somebody like Milarepa, who is known as the greatest hermit in Tibetan… he’s very deeply loved. He had a whole community of students around him. And he had twenty-five disciples and he had people coming and going. I think that’s necessary. I think that at least for me, and probably for most of the people I know, long, long solitary retreats aren’t that helpful because at a certain point you’re not getting feedback that you need. Renate: Yeah, that’s right. But then I think only recently you did a twenty daylong retreat in complete darkness. Reggie: Yeah actually it was a month long. I’ve done three of those. Reggie: Oh yeah. And I thought, ‘Oh this isn’t a good idea. I don’t know if I’m going to be able to handle this.’ And it was very heavy. It was very heavy. But it did open up a whole dimension of my limited ego, traumatized ego-mind that I couldn’t get to any other way. And, in the middle of the retreat I had to call my wife up on my cell phone and she had to talk me down. I got into a state of feeling absolute and total despair and I felt that she didn’t love me and nobody loved me and my whole life was a sham. I mean just about as dark as anything I’ve ever felt. And I could see for certain that I was too crazy to teach meditation and that I probably was going insane. So I thought maybe I better call my wife. Renate: Isn’t that interesting… I find that’s the same thing when something goes wrong with the body… so where was your awareness at that point? Reggie: I was aware of the trauma. I was aware of the pain. Renate: You were aware of the trauma and yet you felt you could not handle it on your own. Reggie: Well, here’s the important point. Trungpa Rinpoche once said, “If you think you can handle it” meaning this kind of work, “think again.” The whole point is you can’t handle it and that’s why you wall it off. That’s why there are so many things we don’t want because we have a sense our ego cannot handle it. But if you studied Peter Levine, or [Dr Bessel] van der Kolk, or any of the other trauma specialists, they will tell you. The Hakomi people, they will tell you. You actually have to inhabit the original painful state of mind in order to work through it and that’s what the darkness allowed me to do. And I did come through it and it took sixteen hours of being in hell, but I came through the other side and now I have access to it. It doesn’t mean it goes away, but I know what it is and I know when it comes up and I can actually work with it more. Reggie: No they’re not dangerous. If you have a lot of meditation, they’re not dangerous. But, as you can imagine, it’s very, very claustrophobic, you’re in a little room, you can’t go outdoors, you have to cook in the darkness which is really hard. I was forever bumping my head on the towel rack when I would try to go take a shower in the darkness. It’s just really physically really hard. Renate: But you also said that you didn’t do any practice. You just were in darkness. That was your practice. Reggie: That was my practice, just come back, come back to my experience. Come back to my experience. Yeah, over, and over, and over. But that’s Vajrayana. That’s what all of the tantra is about, learning to come back to our raw naked unadorned non-conceptual somatic experience of life. That’s what tantra is for. Renate: Yeah and that is being yourself. Reggie: Well it’s really being yourself. I mean, people think, ‘being – I’m going to be myself. This is really going to be great.’ Being yourself means being the universe. Reggie: And it means being every experience that humans… that’s another thing about dark retreat, you realize that every experience that humans have ever had is going to come through your system during that practice and so being oneself in that kind of very vast way is highly challenging. Renate: And it comes through unfiltered, which means, it’s like the experiencer becomes one with the experience. Renate: Yeah. Oh, you did another outrageous thing, I mean that would be the worst for me. Malidoma Somé. I read his book a couple of years ago, and I realized how far away we are actually from what he was talking about in this book and I know he was for some time your teacher, or he’s your friend. And he guided you through an earth burial. Renate: … is an African shaman. Reggie: Yeah, an African shaman from Burkina Faso in central West Africa. And he’s probably the man I love most in the world. He’s an amazing, I don’t see him that much anymore but he’s an amazing person and worth meeting, anyone that has a chance. And in their tradition they do the alms, they do earth, they have a water initiation, fire, nature, I forget the other one. And one of them is you get buried. Reggie: I don’t know, in his tradition they don’t do air. That’s one of the issues with shamanism, there’s not enough space, frankly, they don’t do space as a separate thing. So his thing was a stone ritual where you put stones on your body which is very, very interesting. But this one is you get buried and you get buried beneath the level of the ground and it’s scooped out and your nose sticks up and your mouth and other than that you’re completely buried. Renate: Your whole head is buried? Reggie: Yeah, except for your nose and mouth. Reggie: No. No. You can’t move. It’s actually very, very painful because we don’t know this but you know we’re always moving even in bed and, but when you don’t move your joints they become very painful very quickly. And I also had a problem, I was buried with a rock sticking into my back. And it took me actually, I don’t want to make this sound too dreadful, but it took me about ten years of body work to get that issue resolved. Reggie: Yeah, it really injured my back. But it was worth doing. Renate: And you could not give any sign in case you needed to get out? Reggie: Yeah, you could get out. Reggie: Yeah there were other people there who were doing it. You could say get me out of here. One woman, after five minutes, started screaming and yelling and I thought ‘This is really not helpful.’ And then through the night, people would freak out but I thought, ‘This is the only time I’m ever going to do it, I might as well see it through.’ And so I was the last one, you know. And messed myself up physically, but after that is when I started doing the earth breathing, the earth descent and when the somatic work really began to take was after that experience. So I have to believe that it was somehow a turning point for me to submit to that type of thing. But I’m much more, as my son would say, I’m much more ‘chill’ now and I don’t push on it so much as I used to, which is a good thing. And my wife tells me I’m easier to be around now instead of being this like fanatic, daredevil sort of kamikaze spiritual guy. I’m being more like a normal human, I’m not very normal, but I’m closer. So I get a lot of positive feedback now that I’m starting to relax. Renate: It softened you, softened something in you. Renate: You hope so? Do you recognize in yourself changes? Reggie: Oh of course. Of course. Actually, I’m capable of being sweet. And capable of being very soft and sweet and loving. But I still, when my dander… do you have that saying when your dander gets up? Reggie: That’s an American saying, it means when you sort of get edgy and you start freaking out. Then I go back to my old ways. Renate: Would you do it again? Reggie: Absolutely not. 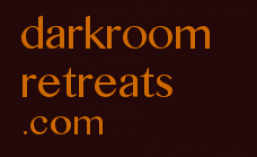 Nor would I do another dark retreat. There are a lot of things I wouldn’t do again. Renate: Yeah. After all the things you did, which were very intense, do you feel freer in your body, in yourself? Reggie: I do feel freer, but I would actually put it another way. I think a lot of times in spiritual practice we’re trying to make our ego feel better. So people ask me, “Is this going to help” – I mean they’re not using this language – “but is this going to help my ego feel better so I don’t have to experience certain kinds of things?” And I don’t think that’s the right question. What happens with me is when I go into my body, I experience freedom. I experience a freedom that is measureless. It’s infinite. And it brings a kind of fundamental relaxation in life, even when I’m tense and tight and worried about things, underneath there’s this river of stillness that, it’s not that I’ve achieved it, it’s the nature of the body itself and if we are deeply rooted enough in our body, we never lose that sense of space and openness and stillness that sort of infinite vastness and beauty of awareness. And that has completely changed my life and I’m so grateful to this tradition that I accidentally fell into it. It’s changed everything for me. And I do believe that the body is the missing piece and once we begin to approach spirituality through the body these experiences are extremely accessible for everybody, however much of a modern person you may be. Renate: Do you think there’s an evolutionary step if we talk about everything is consciousness, awareness, because, I was thinking about, after getting familiar with your work, there are some Indian Saints like Ramana Maharshi and Nisargadatta. I think at that time when they woke up or were saints, there wasn’t much [that was] talked about, but it was all about waking up here [throwing her arms up]. Renate: And Nisargadatta died in a horrific ways with throat cancer. I forgot how Ramana Maharshi died. Maybe that was the body’s way then to release something? Reggie: Or rebalance. Yeah, I think so. Renate: And only now, I find also with conscious.tv, there are a few people start coming forward where you feel the body is included as if, if this is where we are going as consciousness. Reggie: Well, I think so. Obviously I’m a little bit of a fanatic about the body but my personal feeling, observing the scene and knowing dozens and dozens of teachers who are friends and peers of meditation, I think the future of meditation is in the body and I think the traditions that teach disembodiment as spirituality, they’re just basically going to fade out because they’re not addressing what people actually really feel already. I can go into a room of four hundred people I’ve never met and teach these practices and people, they get it, right away they get it and the reason they get it is because they’ve changed. The world has changed. We live in a world now where we’re trying to push aside ordinary life and to disparage ordinary human emotions and sexuality and working and all the suffering of life… pushing that aside is not acceptable anymore. People understand that working with those situations and finding freedom within those situations is actually what spirituality is about. So it’s the people I meet that really convince me that this is the future, what we are talking about right here. Renate: Yeah, if we want to save this world too. Renate: Because it’s always disembodiment you know, which completely disconnects us from the earth and from, as Thích Nhất Hạnh said so beautifully, the earth is crying, listen to the earth cry. Reggie: Yes, there is a very, very, very embodied meditation teacher and always has been. He’s a great example of what we’re talking about. Renate: Yes, beautiful. The other thing, which I find interesting is – and we touched on it earlier with your emotional process – if something goes wrong inside the body, like we are really sick. I don’t know if you are familiar with Adyashanti. Reggie: Good for him. That’s great. That’s great. Renate: And I think it’s really difficult to have something going on in the body and stay fully present. Reggie: No, because if you think being fully present is different from the pain, you’ve got a problem. It’s not gonna’ work. But if being fully present means entering the experience you’re having right now no matter what it is, whether it’s emotional, or physical pain… the pain actually helps you become embodied. Sickness helps you become embodied. It’s very, very important. You know, when you say something wrong in the body, I wouldn’t see it that way. I think the body when we even injure ourselves – we were talking before about my sports injuries and other injuries – those things are the body calling us back to itself. And even if you’re dying of terminal cancer, it’s not a negative situation. It’s painful and it’s frightening but it’s not a bad thing. Nothing is wrong. The body is calling you back into the body to experience what kind of a gate there may be there for you, what kind of transformation happens when you actually give in to what the body’s telling you. See what I mean? Renate: Yeah. It’s, it’s so huge what you are saying. It’s really huge. Reggie: Frankly, even death is a huge somatic opportunity for all of us. Opportunity and it should be viewed that way. We should view death, we’re all going to die, nobody’s escaped yet and when we’re dying, or somebody’s dying, we should regard that as the most sacred situation of life alongside birth. Reggie: And we should approach it that way. And we should bow down at the feet of people who are dying in pain and be with them because that’s a moment when the body will not be denied. And the Tibetans say that in that moment there’s opportunities for liberation and freedom and realizing the beauty of life. So, from the tantric standpoint, it’s called absolute positivity. Every single situation is an opportunity. And there’s nothing wrong and there’s nothing bad. There are incredibly painful things, but for us individually, it’s always another step that’s being offered. Renate: Yes. That’s beautiful. We are coming slowly to an end Reggie. One thing I wanted to ask you is what was the most important thing you learned from Trungpa? Reggie: Well, it’s what we’re talking about today, but it’s summed up in one thing he said to me when anything would come up, very challenging situations and I would ask him what to do and he always said, “Trust.” It was always trust. Trust what happens in your life. If you can trust your life unconditionally, you know without any reservations, that’s the way through. Absolute trust. When I work within myself, is when I start distrusting something, that’s when I kind of come to attention and come back to my body. Renate: Yes. You had already as a child, I think you said you were eighteen months, you experienced already the infinite mind. Renate: And then later on you recognized that this was what you were experiencing. Do you think it is easier for people – which I call the journey of descent, into the body, into the earth – when you have the realization of who you are and what this is all about, like you had? Reggie: But there was no realization. There was just an experience that was outside the framework of my parents and my culture. And working with people as I have all these years, I personally believe everybody has those kinds of experiences at the very beginning. There’s a friend of mine who was… she was three months premature, a twin and she was in an incubator with her sister and she remembers what she felt like when her sister was taken out, and how strongly… taken out for a test. You know that kind of awareness in infants is shocking, she was three months premature and she actually understood the whole thing about connection and the importance of the other and before she had any nurturing or anything. So I think probably everybody has experiences like the one I did. But they don’t know what it is, and if you don’t receive the training it’s hard to go back and recognize that. I do want to say one other thing. Reggie: You know this somatic work is all well and good, but I think often today we don’t realize that in order to really accomplish something in the spiritual area, I mean we know it for the arts, but in the spiritual area, we have to train ourselves. And this is something that I never tire of repeating to my students that you have to undergo the training, you have to put in the time but if you do, the payoff is so far beyond anything you have ever experienced, that it’s definitely worth doing. But of course you don’t know it at the time, right, you just have to trust your lineage, your teacher. Renate: Yeah. So we need a teacher who guides us. Reggie: Well we have to figure out a way to get trained. I’m not saying it’s one teacher but you have to figure out a way to go through the training so you can actually inhabit your body and inhabit the life that you’ve been given, fully. Renate: And you said something on Saturday, at your seminar which touched me also so much, when we connect to our human experience that is the sacred message. Reggie: Exactly, very well said. Renate: Well Reggie we have to stop. And thank you very much for coming to conscious.tv and I know you are planning to come back to London. Watch out for it, if you are interested in doing some work with Reggie. Thank you for watching conscious.tv and we’ll see you again soon. Bye bye. A warm greeting to everyone. My name is Reggie Ray. I’m a meditation teacher and I teach meditation through the body and in terms of the body. Today I’m going to lead you in a guided practice. The practice involves developing awareness in the body. The body as we say in my Vajrayana tradition is already in an enlightened condition. The nature of the body is awareness of the unborn mind and through the body we can find all of the freedom, all of the openness and all of the joy that is possible for humans. So to begin with, pay attention to your posture, the more you can be sitting upright with a straight back, the better. I’m sitting on the front part of a chair. And put your attention in your lower belly, midway between the perineum and the navel. This is the source, the hara in Zen, the birthplace of awareness in Vajrayana Buddhism of Tibet. So find this midpoint between the perineum and the navel in the middle of the body and begin to imagine you’re breathing directly into it. You’re not bringing the breath down from your nostrils and lungs. You’re breathing directly into this midpoint. Imagine the breath entering right there as if it were a nostril itself. On the inbreath, bring the breath into that point, on the outbreath, just relax, keeping your attention right in the lower belly. So now we’re going to take a breath into the lower belly and when we empty, we’re going to empty out long and slow but very, very full. We’re going to try to empty out and squeeze the lower belly down to zero. So it requires some exertion in the lower belly. So give that a try for a few breaths. And another one. And one more. And then relax. We are working with the inner breath here, what’s known as the prana or the chi. We’re bringing the awareness into the lower belly on the inbreath and then opening the lower belly through the intense squeezing down of the outbreath. So now we’re going to do twelve of these lower belly breaths. This is a very widely used practice in Zen, Ch’an, Buddhism and Tibetan Buddhism especially. Ok, so twelve of these medium to full inbreaths and very very full exhalation on the outbreath, keeping our attention on the lower belly throughout. So please begin. As you do this don’t be afraid to really squeeze down and increase the intensity of the outbreath with each succeeding breath. On each outbreath imagining you’re emptying out all of the stale breath in your body, all of the stale energy, all of the disease and emotional disturbance as you squeeze down. And then let’s do one more altogether, medium to full inbreath, very, very full outbreath, squeezing down the lower belly so that not even a square millimeter, a cubic millimeter of breath remains and then hold the breath out just for a second or two. Ok, so one more. And then just breathe naturally. So the last part of the exercise is to put your awareness, I’m showing you how to open up the space through the body here of your unborn mind. So we’re going to put our awareness in the back of our palate, so still working with the breath, and breathing in through your nostrils, feel the sensation at the back of your palate, a coolness of the breath on the inbreath. And then I want to have you open your mind, your awareness, your consciousness behind that sensation of the breath. So we’re opening out our awareness in back of our throat. It’s almost as if our eyes are turned around backward and we’re looking backward, we’re feeling, we’re sensing and we’re opening backward. If you notice any thoughts, any experiences coming up, open behind them, open backward, let them go and open your awareness backward behind your head. And see how far back you can feel into the space behind your head. In fact your awareness goes out forever. It’s infinite behind you. See if you can feel that. Open. Let go. Let go. Let go. Stay back. Relax. It’s as if you’re falling backward into the awareness behind your head and you’re opening to infinity behind you. So this is a practice that you can do. If you do any form of meditation you can do this at the beginning and it will greatly deepen it, make it more embodied and make the experience more real for you. You can also do this practice just by itself. In Tibet it’s done just on its own. You might do three sets of these 12-fold lower belly breathing and then open your mind behind you and let your awareness go back and back and back and back. When you do that you begin to discover there’s an ocean of awareness underneath all of your experience. It’s peaceful, it’s open and there’s no ego in it and over time you can begin to live your life from that open free joyful space. Thank you. Posted in audio, interview, research. Tagged #civilisedpsychosis, #darkroomretreat, #deepesthealing, #deeprest, #deepsleep, #enlightenmentfoolproof, #euphoric, #exhaustion, #kallidad, #returntojoy, @altoyes, @frugivore, @KallidadKQ, @SaskiaJohn1, how does darkness serve us?